Up And Under, The Quick and Dirty Poets Annual Review is now accepting submissions for their next publication. Closing date is December 30, 2008 postmarked. Please include an SASE to receive a reply. Mail to qndpoets@yahoo.com with "Poetry Sub for Up and Under" in the subject line. Payment will be 1 contributor's copy. No previously published poems. Simultaneous Submissions are acceptable with notification. We endeavor to respond in 2-3 months, and sooner if possible. 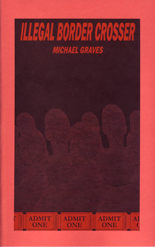 Up And Under is available through Maverick Duck Press and will also be available at Quick & Dirty Poets Readings or from this website. Click the publications link on the left to order Up and Under or any of the QND Chapbooks.